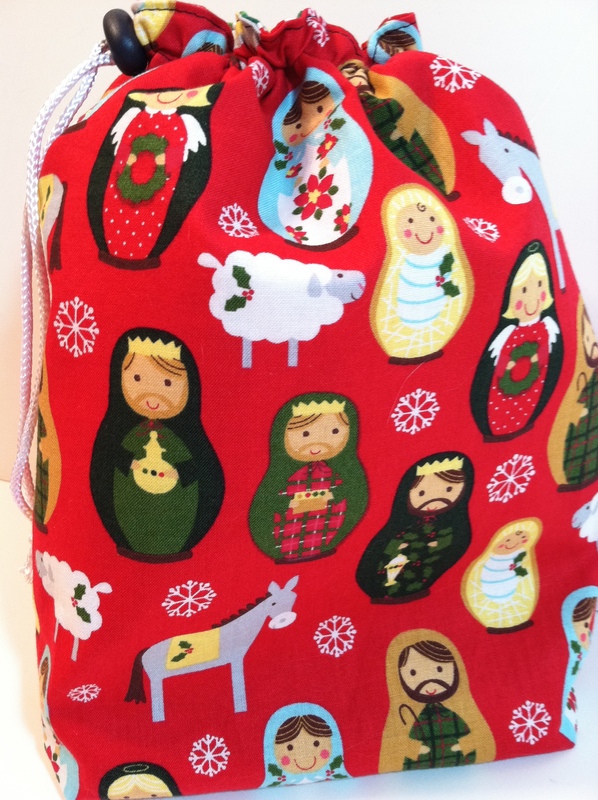 I’ve been sewing up a storm… making project bags! Every time I go into a fabric store, I see super cute fabric and I have to buy it. It’s a sickness really, as I can’t stop myself. So I’m becoming obsessed with them. I’m making too many to keep, so I’ve been giving them as gifts and I’ve listed some in my Etsy Store (BlackHorseFashions) Every knitter/crocheter loves project bags! These bags aren’t just limited to project bags either. I made one for my sister, who has just started knitting, and she pointed out that there are endless use for these bags. She suggested using them as reusable gift bags, makeup bag, a shoe bag for traveling (so when placed in your suitcase, your shoes won’t dirty-up your clothes), child’s toy bag for the car, etc.. She’s right, the uses are endless. I’ve decided to make themed bags as well. 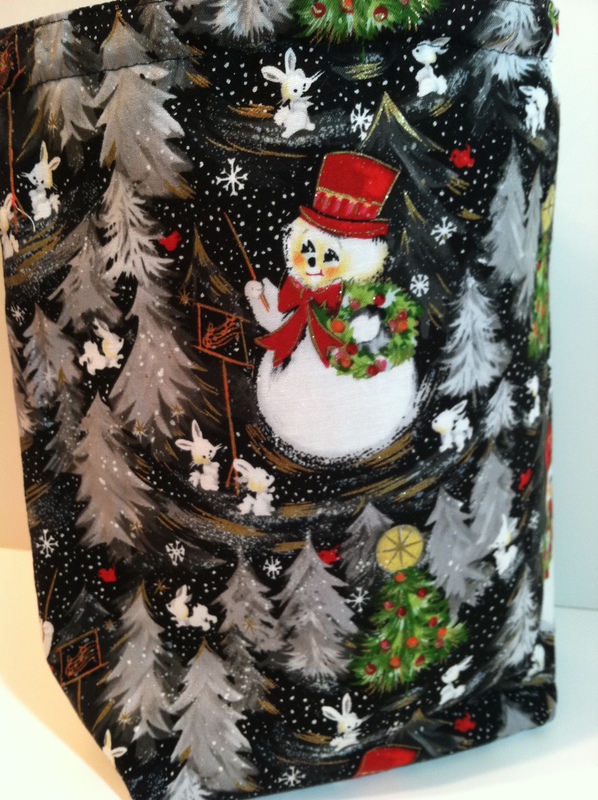 I started off making bags from Halloween fabric and now I’m making them from Christmas fabric. 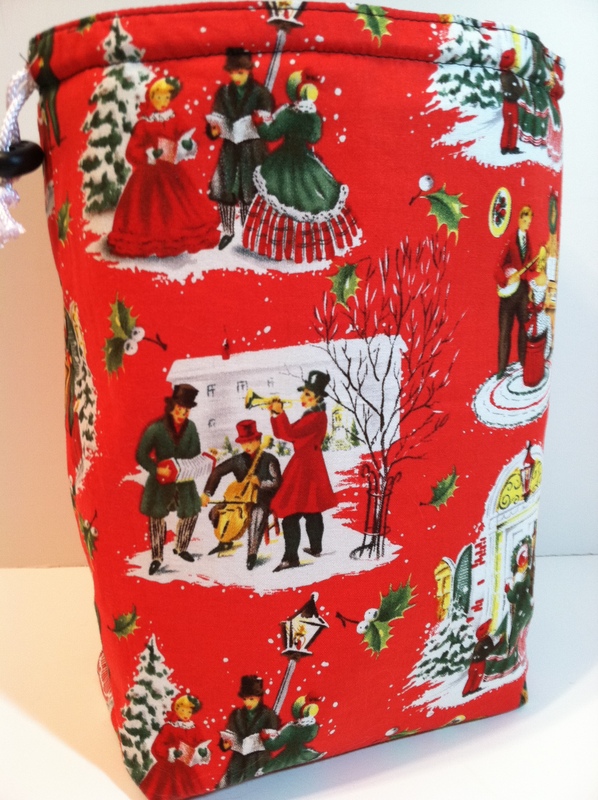 The Christmas themed bags can be used all year to house the projects you are making for Christmas gifts. This allows you to find your Christmas projects quickly when looking through your craft closet and it puts you in the holiday mood while knitting. 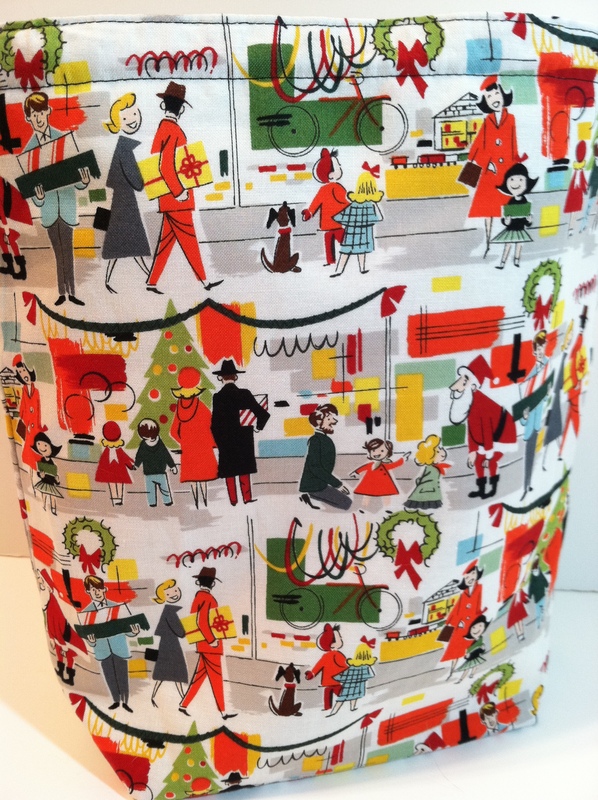 The bags have a 4×6″ square base, and are lined with a coordinating print. Stabalizer is used between the main fabric and the lining to give the bag support, so it will stand up on it’s own. Because the bag stands up straight, you can keep your yarn in the bag as you knit, so it doesn’t roll all over the place (and so your cat won’t chase it or try to fun off with it while you are knitting). Also, I love the fact that it has a drawstring instead of a zipper, because I hate when my yarn gets caught up in a zipper. Here are a few that I’ve made, but I have a lot more prints to sew up yet. 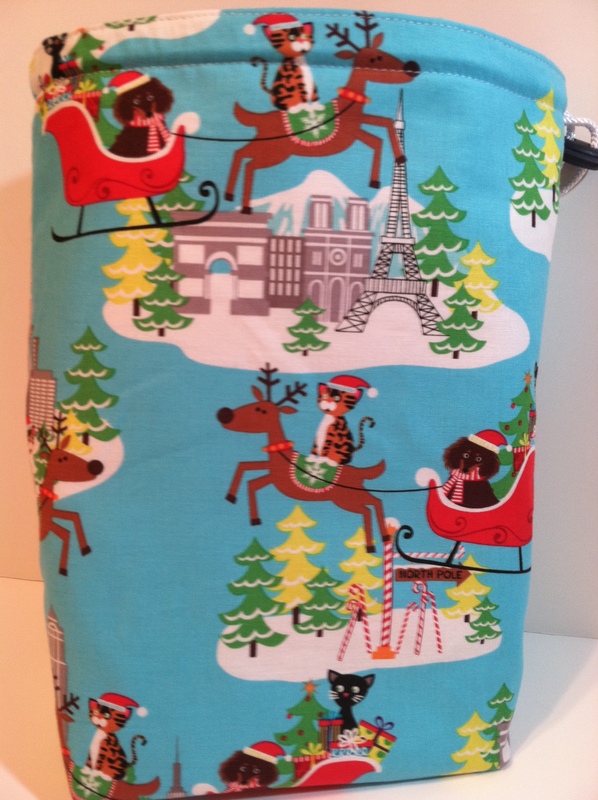 If you are interested in a regular project bag, or a Christmas themed bag, check my Etsy store often, as I will be adding new bags each week.